In today’s ever more crowded and hyper-competitive business environment the need to stand out from the crowd and to more effectively reach target audiences has become critical for businesses of all shapes and sizes vying for their key prospect’s attention. According to market research firm Yankelovich the average consumer is now exposed to a staggering 5000+ advertising messages and brand exposures per day with figures continuously rising1. We are being bombarded with information on the internet, social media sites, through smart phone apps, old fashioned radio and TV, billboards, magazines, product placements, event sponsoring etc. etc. It is no wonder then, that attention spans are narrowing and people are becoming more adept at filtering out information not deemed absolutely necessary. This is especially true for the spoken and written word. Studies estimate that of the aforementioned 5000+ messages, we are only aware of about 100 of them and of those only a handful truly make an impression on us. There is, however, a communication tool which might be able to bypass the filters and reach target audiences like no other: Sound. The Sound of Music is not just one of the world’s most popular and beloved musicals which has entertained people of several generations but its fundamental reason for success, namely the enormous power of sound and music on the human psyche has also given rise to a relatively new concept embraced by an increasing number of marketing professionals around the world and often referred to as: Sound Branding. Early indices and research show that the strategic and consistent use of brand-fitting sound at critical brand touchpoints can have significant upsides and lead to improved differentiation, a clear communication of brand attributes, effective steering of brand perception and buyer choice, ultimately increasing sales. What is the definition of Sound Branding? Why is Sound Branding relevant to both B2C and B2B marketers? But with most B2B and B2C organizations using virtually the same branding tools, they’re arguably seeing less advantage as a result of their efforts — if they’re realizing any advantage at all. To gain advantage on this leveled playing field, there’s one powerful branding tool that has been generally overlooked — or perhaps undervalued — by most marketers: sound. With of our increasingly sound-enabled media environment, the strategic use of sound can play an important role in positively differentiating a product or service, enhancing recall, creating preference, building trust, and even increasing sales. 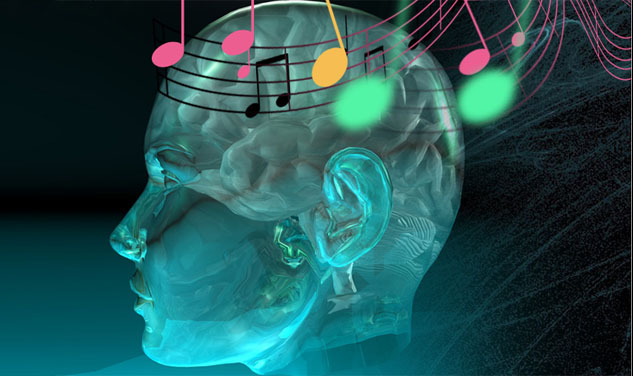 Called sound branding, audio branding, sonic branding, or acoustic branding, cognitive studies show that relevant sounds and musical cues can truly influence people in ways marketers want. According to research presented at the 2012 Audio Branding Congress, congruent sound cues can increase the speed of a visual search for products (a key for success in both online and retail settings), as well as improve the perceived taste of food and wine. Some marketers have long employed sound and music as part of their brand experience, including the familiar chime of an Apple Computer launching, the pop of the Snapple lid, and the aggressive howl of a Harley in rev mode. While these are within the realm of sound branding, the true practices are actually more sophisticated than an isolated packaging or product sound, the singular use of a now quaint jingle at the end of a radio spot, or a discrete Sound logo such as the one attached to the Intel inside button. Rather, audio branding entails the creation of an entire audio language for the brand based on its essence, values, promise, and personality — a language that gets expressed across all touch points, from the web and apps to trade shows to TV to the retail environment and even the product itself. Just as the verbal or visual brand expression is optimized at each medium, the audio expressions are also sensitively adapted across the touch points, so they’re psychologically appropriate to the medium. They started their initiative by conducting a study of the all the audio in their competitive set, revealing a lack of distinctiveness. They then created an audio DNA with the goal of communicating their leadership along with the comfort and caring that distinguished the brand. SNCF made a bold decision to give up the usual codes of the category and create something to which no link to the past existed, but that underscored its then current leadership and brand values. As a result, the sound brand has turned into a significant asset for SNCF. For instance, they found that they are correctly identified in testing by 92% of the listeners — and that 88% of these listeners correctly identified the brand upon hearing just two notes. And perhaps more significantly, 71% of them now see the brand as being “attractive” or “very attractive,” and SNCF has experienced an 18% increase in the perception of leadership. Just as the earliest visual logos and branding programs are iconic today, sound brands will likely become iconic tomorrow. If you do not have an audio brand, the time is now to get started. Done right, your efforts can provide rewards for years to come. Although sound can often sneak into wider marketing considerations, sound branding is still overlooked and undervalued as a core marketing discipline. That fact holds even truer in B2B marketing, where relatively few firms have explored the possibility of using sound as a means of reinforcing the messages and branding communicated via more traditional channels. Research conducted by Leicester University has shown companies that match their brand to music are 96 per cent more likely to be remembered. Sound has a strong effect on our subconscious and hearing is, in fact, a more powerful emotional sense than sight, meaning it can have a huge impact on potential customers. Despite the inherent power of sound, there remains a genuine lack of consideration among businesses regarding sound representations of their brand. Currently, 70 percent of brands spend less than five per cent of their budget on sound, so there is a massive discrepancy when compared to visual marketing. Yet image isn’t everything. Our hearing is a more powerful sense than sight, so sound is often more effective in grabbing the attention of potential customers and sparking brand recollection. It is important to scrutinize all potential sonic touchpoints to ensure these sounds fit with the overall image of the business and form one coherent brand voice. This means product noises, videos, the messages people hear when put on hold on telephone systems or the voice and music used for interactive voice response (IVR) call answering systems. Even the sounds customers are exposed to when they visit your premises and employee voicemails should be carefully selected. Too often, sound branding is equated to the process of developing a sound logo. Sound Logos such as ‘Intel Inside’ have been incredibly successful in keeping a company’s products front of mind but this success has possibly prevented some marketers from thinking beyond such logos when it comes to audio representations of their brand. Instead, the process of deciding which sounds best represent your business shouldn’t be too dissimilar to the one used in determining a brand image. Consider elements such as brochures, letterheads or your website. If you use a soft color palette, gentle fonts and typefaces then it stands to reason you’d have gentle sounds too. There may even be certain sounds your customers already equate with your brand. Making the most of such characteristic sounds can help you to establish a strong presence without necessarily creating a sound identity from scratch. If your business has a strong regional presence, perhaps your company’s voice needs to incorporate an accent or regional dialect. A company supplying high-quality produce from a specific region may use this to convey a sense of tradition and provenance to clients. Whatever way you look at it, congruence is key and these sounds must fit neatly alongside visual representations of the brand. Even the way your employees answer the phone is vital. When they take a call, what are they saying and how do they say it? On average, 94 per cent of a company’s marketing budget is spent on getting people to call in but only six per cent is spent on handling those calls when they arrive. Often, use of a telephone system is viewed as extremely tactical and will be handled by the head of telephony or head of IT rather than marketing and sales but it is a largely untapped means of communicating with customers. Considering businesses put callers on hold for an average of 33 seconds – longer than the average commercial – this is an ideal opportunity to pass on information about products and services. Voice and music must fit within an overall sound branding strategy but can also be tweaked according to the audience. Cold, impersonal reception areas could be transformed through the use of the right music or introduction of subtle marketing messages. Similarly, stands at trade conferences or expos could make use of music or soundscapes to make them more enticing. Ultimately, sound branding is an underused yet invaluable marketing discipline that can help to influence a customer’s purchasing decisions in ways they aren’t even aware of. It provides a powerful tool in helping marketers to reinforce existing perceptions of a brand and open new channels of communication with its target audience, ensuring all potential touchpoints are utilized. DATEV eG, based in Nuremberg, Germany, is a software developing company in the accounting, taxing and financial accountancy sector. Its business activities are mainly in the area of accountancy, human resource management, business management, taxing, enterprise resource planning and organisation in general. DATEV was founded in 1966. 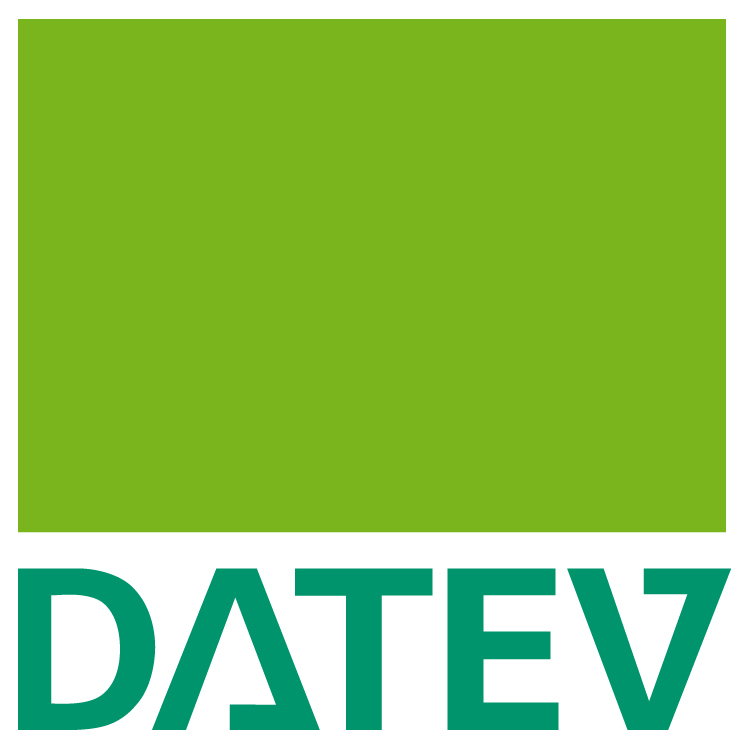 Today, with more than 5.800 employees and over 39.000 members, DATEV is one of the biggest information providers and software developers in Europe. DATEV takes branding very seriously. Visually, they are a textbook example of consistency. Their logo is very well known and their company colour – green – makes an instant association with the brand. The brand went through a major repositioning based on the consultation of Prof. Dr. Esch (University of Giessen), one of Germany’s top branding experts. The process involved reducing the brand to its core values and creating what is termed as a “Brand Steering Wheel” which is a tool to define or redefine a brands values, vision and mission. It was during this process, that DATEV became aware that certain attributes possibly could be communicated more effectively using music and sound. They started researching and soon discovered that there are indeed specialists in this field. The basis for their strategic use of music and sound in their brand communication was born. DATEV conducted a thorough check of the market and, after an intensive screening process, GROVES was given the project. Starting in 2008 the DATEV sound identity was developed from the brands core using the complete GROVES Sound Branding Development System: from Brand Audit, Market Review, Application Analysis and Sound Workshop – through to the Brand Sound Manual and subsequent monitoring with Sound Check. The Brand Sound Identity today consists of more than 40 Brand Sound Elements that are implemented in over 20 touchpoints. The DATEV project demonstrates that effective Sound Branding needs a systematic development process and stringent management. The GROVES methodology is well on its way to being the branch standard. Experiencing it from „a“ to „z“ together with an exciting B2B brand is what this case offers. Recent research indicates that, in the field of multi-sensual communication, marketeers are now increasingly aware of the possibility of communicating corporate and brand values to all senses. Whereas the use of sound and music in brand communications has traditionally been restricted to campaign use, experience has shown that a coordinated approach to its use as part of a brand communication strategy has many advantages. For brands that have previously relied largely on the sense of sight, an intentional and strategic use of sound via a structured management system in a branding context can open up an additional dimension. Although Sound Branding is still in its infancy, it is now widely accepted that brand perception can be accurately steered by the strategic use of sound and music. Once an association has been built up, it can not only measurably improve brand awareness, differentiate and emotionalize the brand as well as save music licensing costs, but also help to create an affinity to the brand, which may ultimately lead to increased sales – which must be the perfect bottom line. Want to know more about Sound Branding and its potential to make a significant contribution to your sales and marketing goals?